It takes a village. While our faculty, staff and students undergird what we do, there is another group that makes a huge impact on Purdue Agriculture: our citizen advocates and other volunteers whose loyalty and support help our college remain one of the top colleges in the nation and world. Every year in March, two citizen groups travel to Washington, DC to meet with Indiana’s Congressional delegation and advocate for the capacity and competitive funds we receive in the federal budget. Our CARET (Council on Agriculture, Research, Extension, and Teaching) members are part of a national group of volunteers from land grant universities across the country. The CARET representatives talk to legislators about the impact of research and extension funding in every state in the country. They also help members of Congress and their legislative aides understand the importance of food and agriculture as well as natural resources to the state and the country. Capacity funds help pay for the faculty and staff who enable us to react when state emergencies happen and engage in research and Extension that is important for Indiana. Capacity funds help us compete for competitive funds, which are used to address specific issues of national importance. Capacity funds must be matched one-to-one with state dollars. In addition to the CARET group, PCARET (Purdue Council for Agricultural Research, Extension and Teaching) is a larger citizen advocacy group whose members come from all around Indiana and take time away from their jobs and families to tell our lawmakers their stories of how our research and Extension impact their lives and the lives of those in their communities. PCARET members come from all different walks of life. They are engineers, pharmacists, hairdressers, bankers, farm bureau employees, investigative reporters, and more. Some even came from that school a couple of hours down the road—we’re always happy to come across those who come from IU but are dedicated supporters of Purdue! 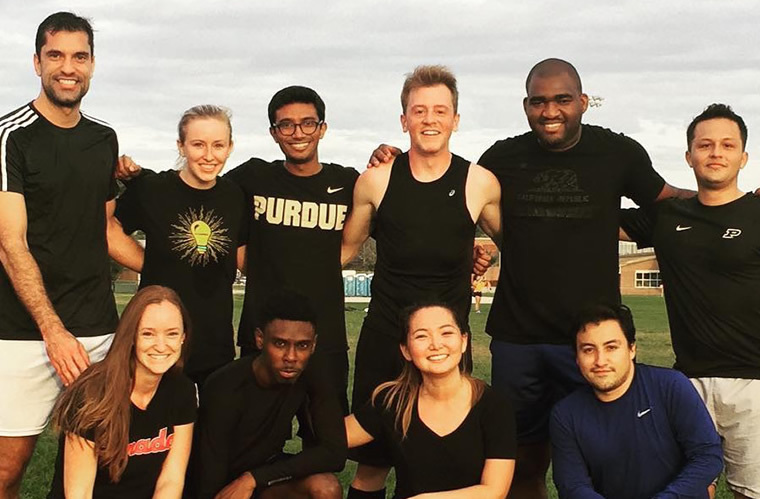 There are many other groups who give their time and talent to represent Purdue all around the state. Master Gardeners, 4-H volunteers, Extension board volunteers, Ag Alumni Association members, Pioneer Village volunteers—all represent and help us in so many ways. We’re also grateful to our Dean’s Advisory Council members who lend their perspective and expertise to help us set the direction for our college, as well as the friends of our college from many companies who come into the classroom and interact with our students, often helping them build connections that will benefit them for years to come. All of these individuals act as catalysts to what Purdue Agriculture can achieve, and their impact is astounding. In 2018, 2,762 Master Gardener volunteers gave 173,597 hours to our college, valued at over $4M. To all of our volunteers who have been so gracious as to give part of that precious commodity known as TIME, I say thank you. I am humbled by your efforts on behalf of the College. You truly embody the meaning of a global land grant institution – What you do makes an impact and makes Purdue Agriculture a special place to be. The Graduate Research Spotlight highlights graduate students and their work. 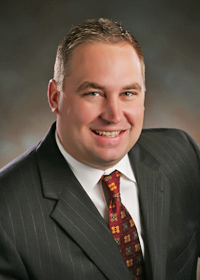 The March spotlight is on Jonathan Knott, Forestry and Natural Resources. 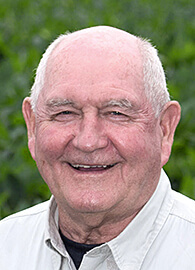 US Secretary of Agriculture Sonny Perdue will visit Purdue University on Tuesday, April 2. After a breakfast with Indiana agriculture leaders, he will participate in a conversation with Purdue President Mitch Daniels at 9:00 a.m. in Fowler Hall, Stewart Center. The conversation is free and open to the public. The Purdue Ag Week Task Force plans to double their meal-packing goal for Ag Week this year. In honor of Purdue’s 150th anniversary celebration, they plan to pack 150,000 meals to feed hungry people locally and abroad. 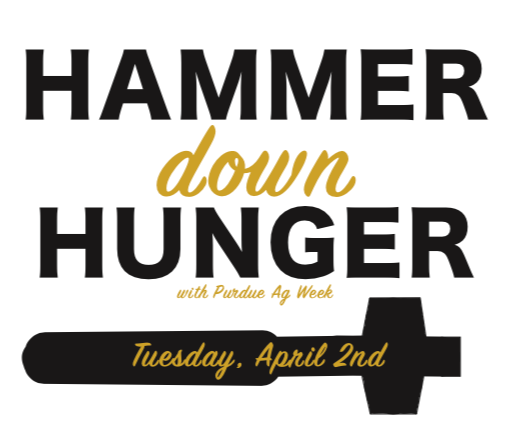 Please join us on April 2 for this fun and important event to help the Purdue Agriculture family to Hammer Down Hunger. To volunteer, click the link below. Jason Henderson has been named the college's Senior Associate Dean for Faculty Development and Director of Extension, effective March 1. Jason’s responsibilities in Extension will not change. His new responsibilities include faculty development, leadership training, and entrepreneurial engagement. 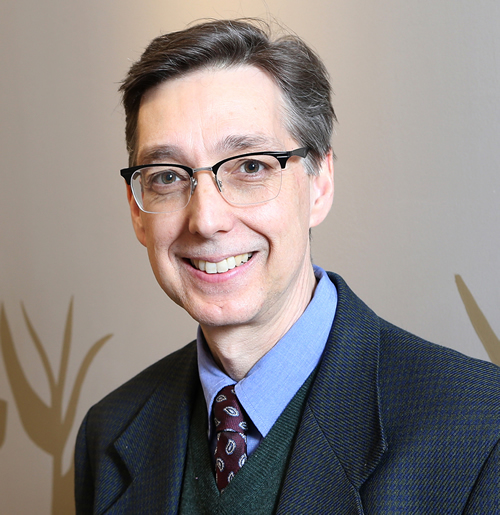 Gerald Shively, Agricultural Economics, has been named associate dean and director of International Programs in Agriculture, effective March 25. 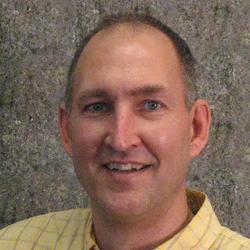 John Lumkes, Agricultural & Biological Engineering, has been named Assistant Dean in the Office of Academic Programs. John is responsible for a variety of duties in undergraduate and graduate education; evaluation of teaching effectiveness; mentoring; and promoting recognition of teaching excellence. John also retains his faculty appointment in ABE. 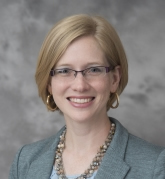 Beth Hall, who most recently served as the Midwestern Regional Climate Center's director, has been named director of the Indiana StateClimate Office at Purdue University. The State Climate Office is housed in the Department of Agronomy. 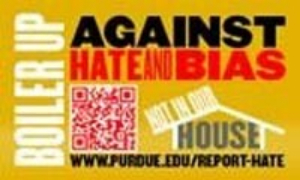 All Purdue Agriculture faculty and staff members are required to receive training in civil rights (the regulations), diversity awareness or sexual harassment each year. 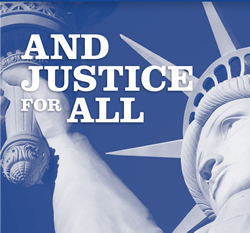 Rather than mandate a specific training, we ask that you attend any training that fits your needs and interests and enhances your knowledge and understanding of diversity, civil rights or sexual harassment. Please use our Qualtrics survey tool to report training activities. 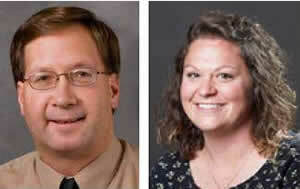 Dennis Buckmaster, Agricultural and Biological Engineering, and Amy Jones, Office of Academic Programs, received the 2018-19 Purdue Learning Community Real-World Experience Award for the Agriculture Technology & Innovation LC. 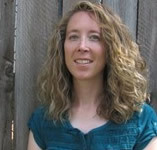 Liz Flaherty, Forestry and Natural Resources, received Honorable Mention in the faculty category for the 2019 Unsung Diversity Hero Award. 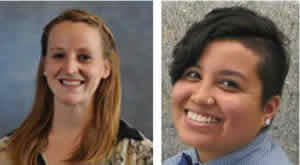 Jacie Grant, Animal Sciences, and Valeria Mijares, Agricultural and Biological Engineering, were named co-winners of the 2019 Staff/Graduate Student Unsung Diversity Hero Award. 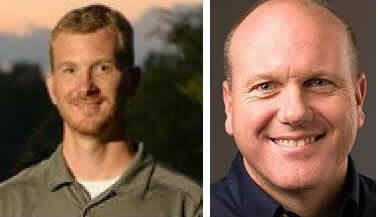 Jason Hoverman, Forestry and Natural Resources, and Bryan Young, Botany and Plant Pathology, have been named University Faculty Scholars for 2019. The University Faculty Scholars program recognizes those deemed to be on an accelerated path for academic distinction. 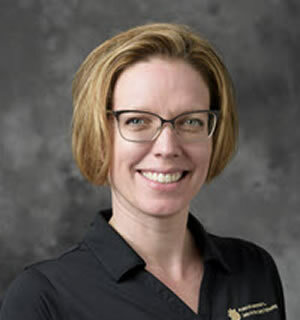 Amy Jones, Office of Academic Programs, received the 2018-19 Purdue Learning Community Advocate Award for displaying an uncommon commitment to learning, taking exceptional involvement within the learning community, and providing outstanding opportunities for connection outside of the classroom. 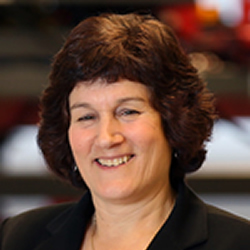 Lisa Mauer, Food Science, received the 2019 Institute of Food Technologists Research & Development Award. The award recognizes recent, significant research and development contributions to the understanding of food science, food technology, or nutrition. 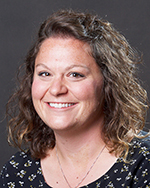 Cordelia (Cori) Running, Food Science, received the 2019 Polak Young Investigator Award from the Association for Chemoreception Sciences. She will present a talk on her research at the annual meeting in April. The Agricultural Economics Graduate Student Organization received the 2019 Team Unsung Diversity Hero award. 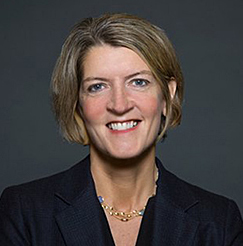 Beth Ford, president and CEO of Land O’Lakes Inc., will take part April 12 in an interview-style Q&A session, “A Conversation with Beth Ford,” at the prestigious Department of Agricultural Economics 45th Annual James C. Snyder Memorial Lecture. According to the Indiana Climate Change Impacts Assessment report, “Climate Change and Indiana’s Energy Sector,” released on February 19, Hoosiers will heat homes and businesses less but rely more on air conditioning as Indiana’s climate warms. They’ll also get more of their energy from natural gas and renewable sources as those become more cost-effective throughout the rest of the century. Plant-based essential oils may be good “green” alternatives to the synthetic pesticides currently used to control bed bug infestations. 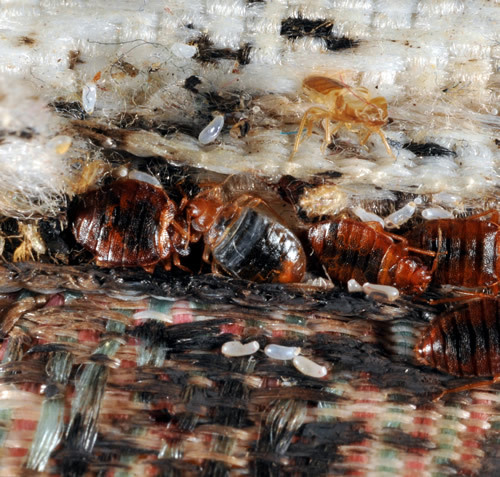 A study led by Ameya Gondhalekar, Entomology, and his doctoral student, Sudip Gaire, has identified some of the most effective essential oil compounds for bed bug control. 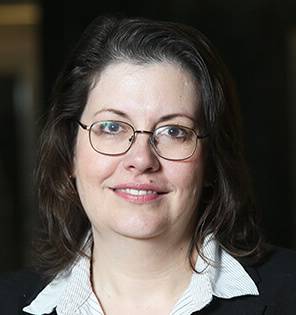 A diverse group of scientists led by Sylvie Brouder, Agronomy, created an important commentary paper calling for changes and improvements in sharing the vast amounts of data researchers generate and proposing the infrastructure to make it happen. She presented the paper to lawmakers in a series of events on Capitol Hill. 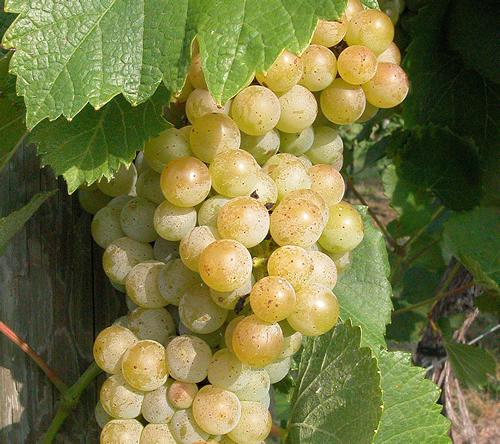 In 2012, the Purdue Wine Grape Team asked Indiana residents and tourists to “Try On Traminette,” the state’s first signature wine. On April 1, the team will launch a new marketing campaign for Traminette encouraging consumers to make this versatile white wine their go-to choice for everyday and special occasions. Purdue Dining & Catering debuted a new ice cream flavor in honor of Purdue University’s Sesquicentennial Celebration on March 1. 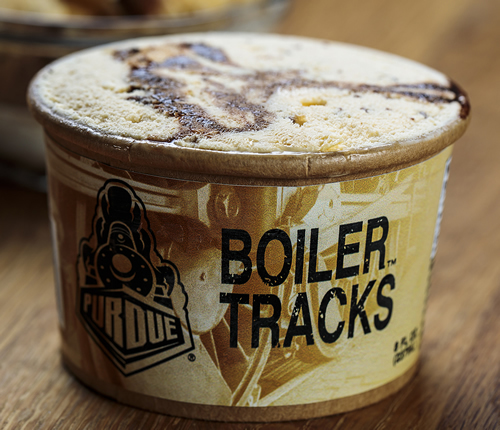 Boiler Tracks was developed as part of a partnership between Dining & Catering and students in a capstone class in the Department of Food Science. 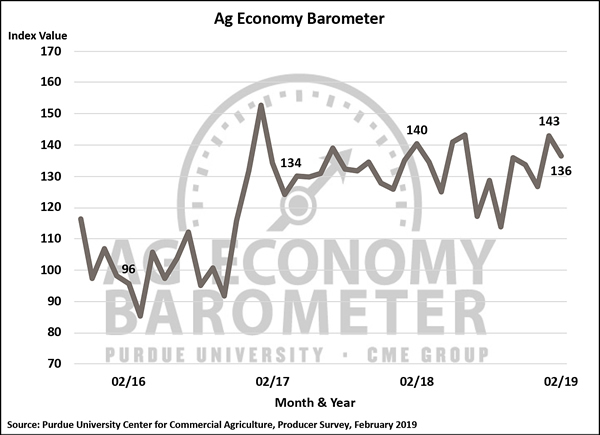 Uncertainty looms behind a weakened Purdue University/CME Group Ag Economy Barometer reading in February, with producers less optimistic about current conditions and the commodity price outlook. 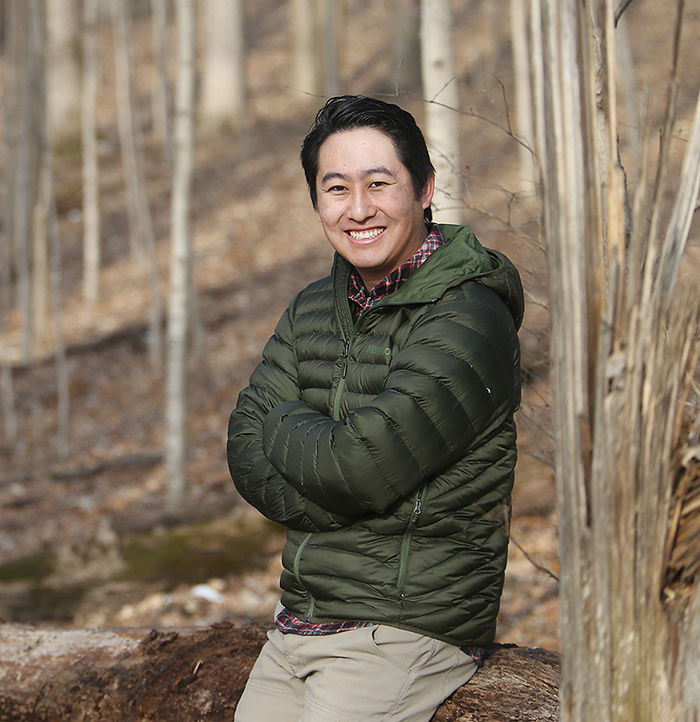 Jian Jin, Agricultural and Biological Engineering, knows that to make progress, one must continuously move forward. 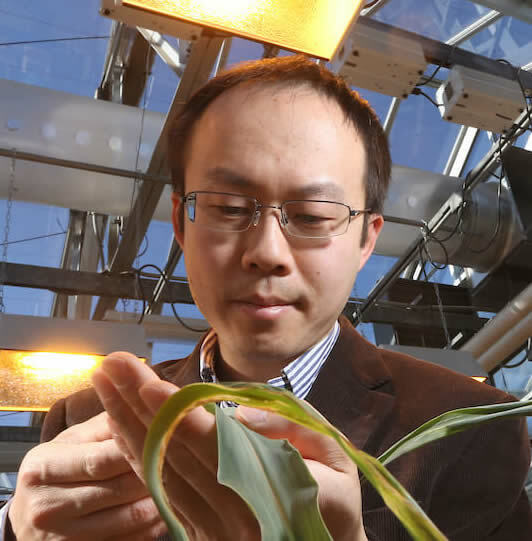 The mindset is reflected in his life, and in the plants in his automated greenhouse. 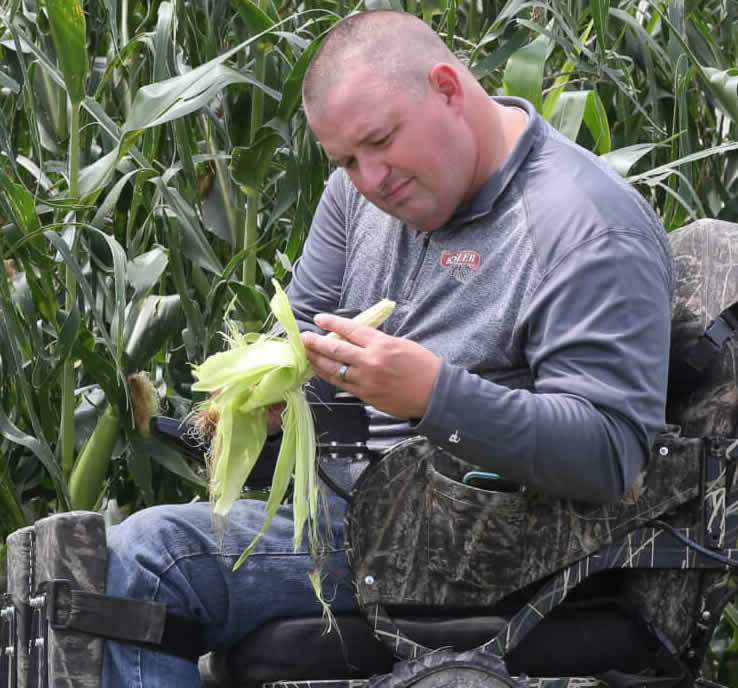 AgrAbility is a USDA sponsored program that supports farmers with a range of disabilities. The National AgrAbility Project (NAP) and the Indiana AgrAbility Project (Breaking New Ground) are based at Purdue University. Clients’ disabilities range from arthritis to spinal cord damage to traumatic brain injury. The project offers services such as worksite assessments, assistance referrals and case management. For more dates and deadlines, check the Purdue Agriculture calendar. Purdue Dining & Catering is making the switch from plastic to paper straws in Purdue’s residential and retail outlets. The transition from plastic to paper straws was complete as of March 18. Dining & Catering officials estimate 650,000 plastic straws were used in campus dining and retail locations last year. The offices of the Provost and the Executive Vice President for Research and Partnerships announce the spring 2019 Integrative Data Science Education Ecosystem request for proposals. The Data Science Education Ecosystem is a part of the University-wide Integrative Data Science Initiative. 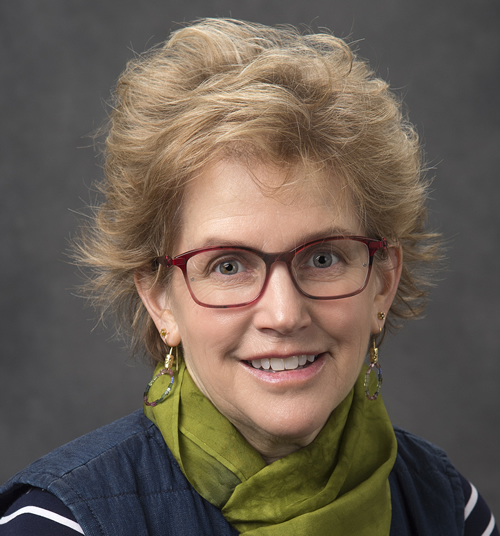 President Mitch Daniels announced on March 20 the launch of a national search for the university’s next executive vice president for research and partnerships and senior research officer. The search will be led by Jay Akridge, provost and executive vice president for academic affairs and diversity. Eight Purdue University student startups earned a total of $83,500 in cash prizes and another $30,000 in in-kind donations during the 32nd annual Burton D. Morgan Business Model Competition.